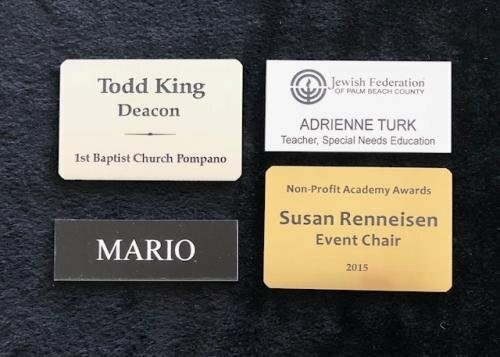 Engraved name badges are very practical. We can add your logo and personalize each one. If you need information on a specific color, give us a call. 954-941-5487.